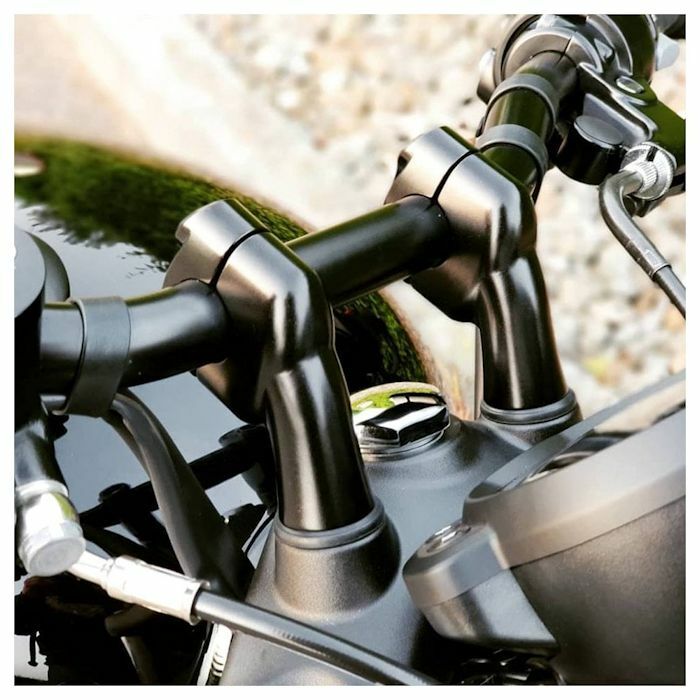 Purchase this product now and earn 160 NewBonneville Bucks! 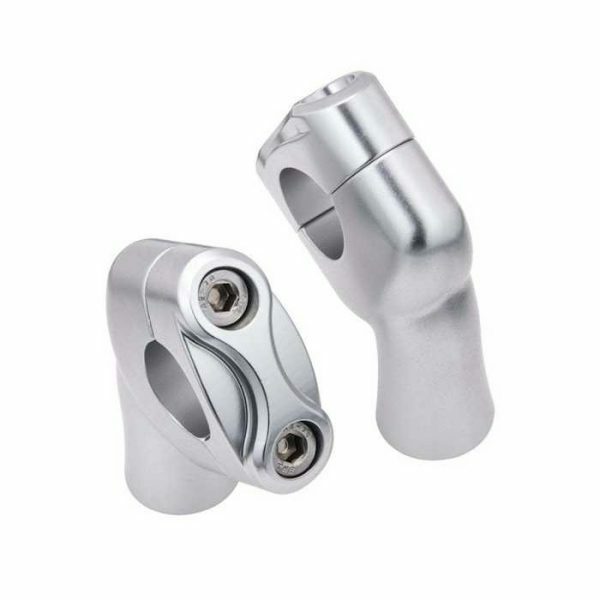 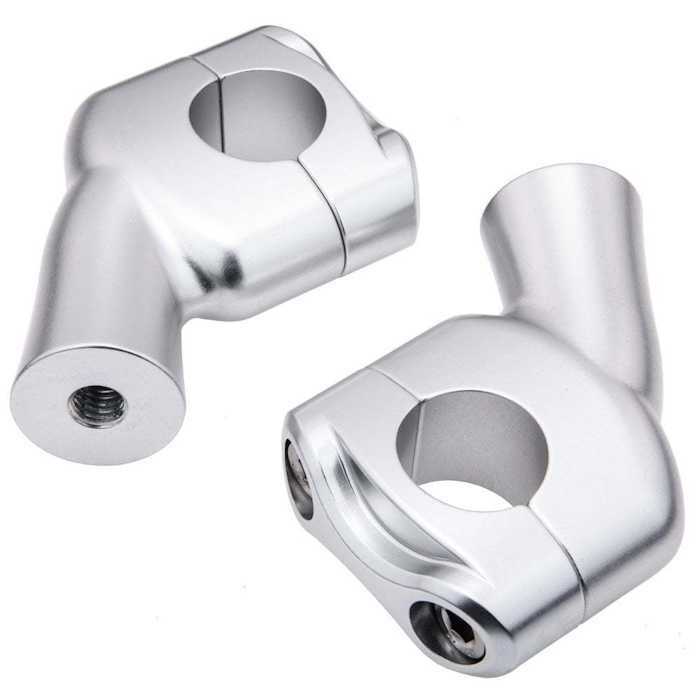 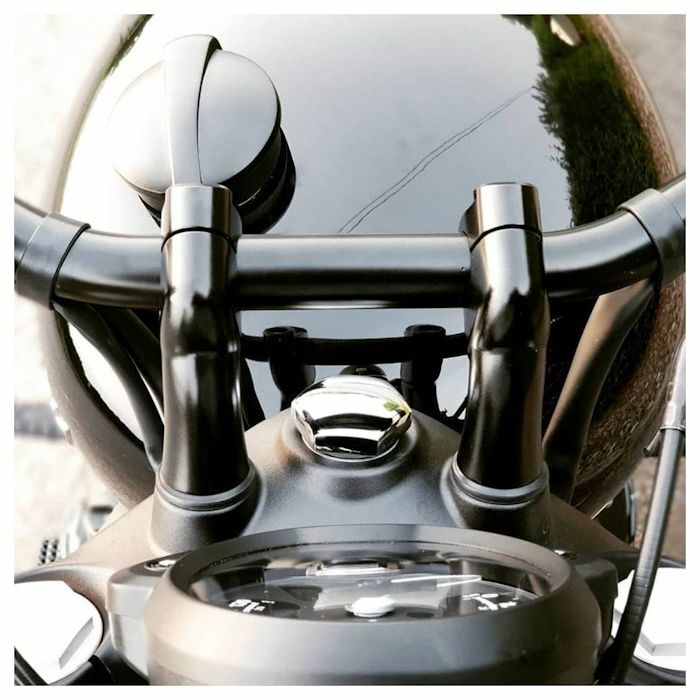 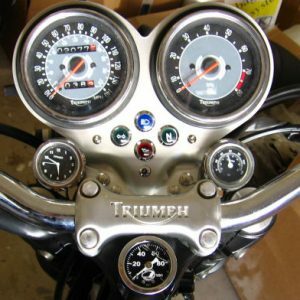 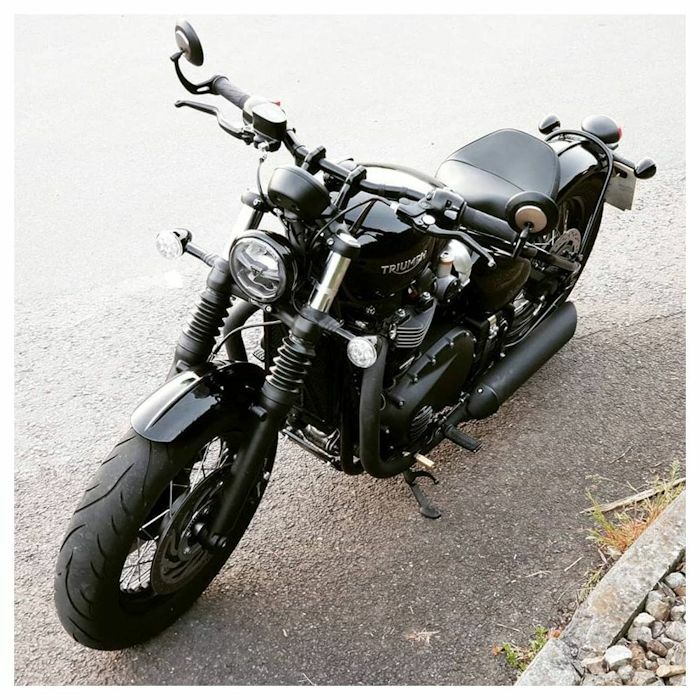 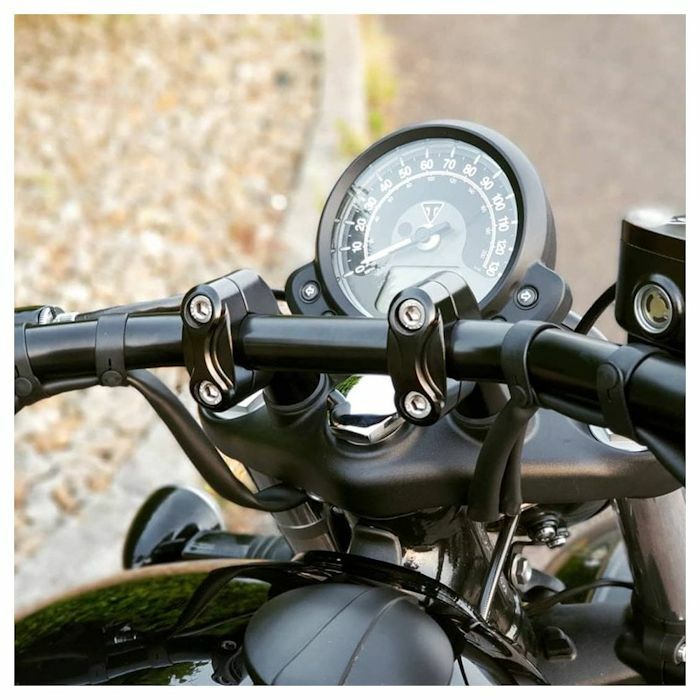 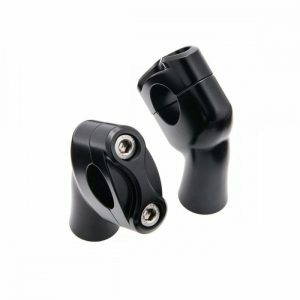 Bolt on Replacement for the Stock Riser Clamp assembly which works on any of the Triumph Bonneville family with one inch bars. 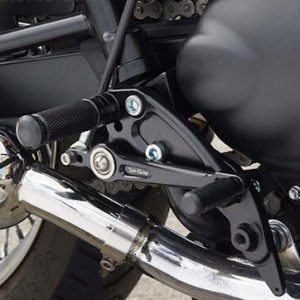 The Up and Over Kit is designed to give you a one inch rise and a one inch pull back over standard bar position. 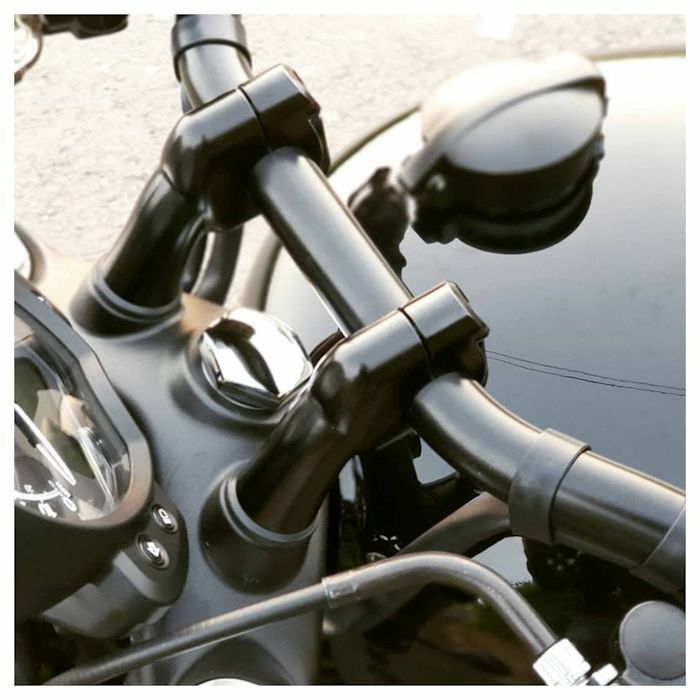 This is about as far as you can take the stock bars without having to install longer cables. 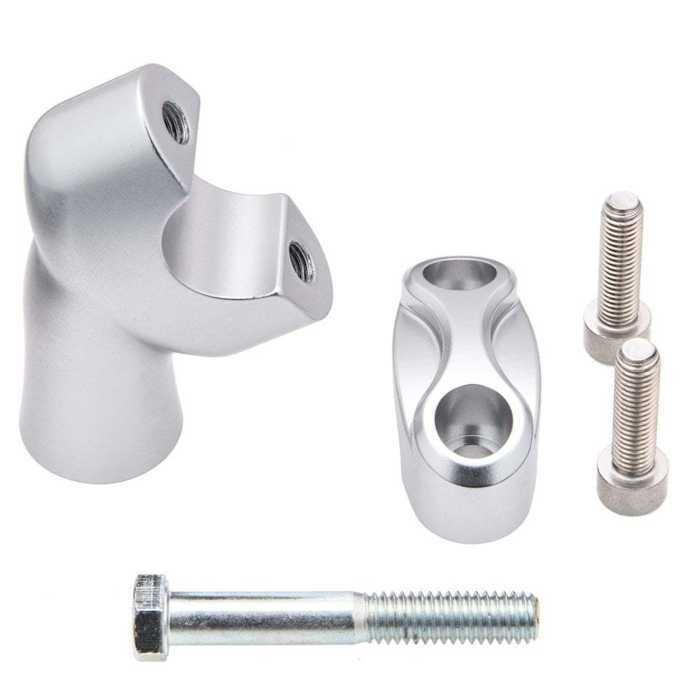 This is for the CLEAR ANODIZED SILVER ALUMINUM version of the risers. 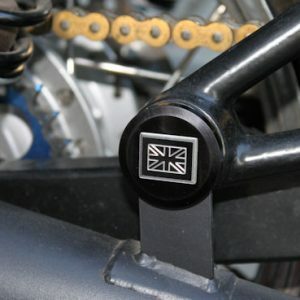 Black risers in the product photos are for installation reference only.